One of the most inspiring people you’ll ever meet! The first blind judge elected to the Michigan Supreme Court. A tireless advocate for disabled rights, he is a political science professor, radio show host, marathoner and Iron Man triathlete, and inductee in the National Jewish Sports Hall of Fame. 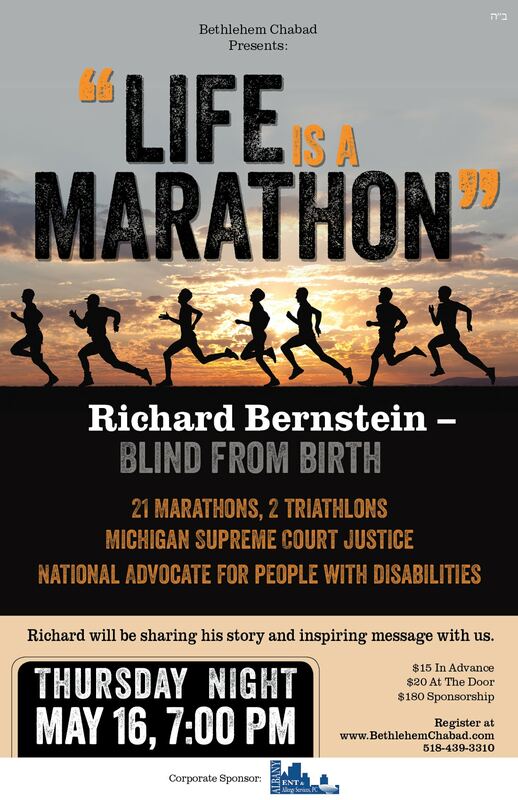 In his spare time, Richard is an avid runner, completing 21 marathons – including eight New York City marathons, the Ironman triathlon in Coeur d’Alene, Idaho in 2008 and the Israman triathlon in Eilat, Israel in 2011. Thank you to our generous corporate sponsor Albany ENT & Allergy for making this event possible!